Why you should foster animals? We started fostering dogs last April(can’t believe its almost been a year! ), and it’s been everything we hoped it would be. It’s very rewarding! I thought i’d give you insight and maybe answer some question you may have. Please email or comment below with any other questions you may have. Is it hard when they get adopted? You know I thought we would all have a very hard time when the dog gets adopted and honestly I seem to be the only one that gets attached to the dogs and I keep the mentality “we are saving this dog, we will save the next one” and that seems to really help. But honestly it’s not so bad just keep busy and you won’t think about it so much, and sometimes the rescue will have a new dog for you right away. While you have that “down time” do stuff you wouldn’t be able to if you had a dog at home, like have a day out exploring the town or go on that “no dogs” allowed hike. Will you have a say in the dog you get? Yes, whether you have other dogs, cats, children, chickens when you fill out the foster application there will be a spot to write that. The rescue we foster for are awesome about finding us the kid friendly dogs and I can only assume all dog rescue’s are the same. But keep in mind sometimes they don’t know the dogs behavorior. Can you adopt your foster dog? 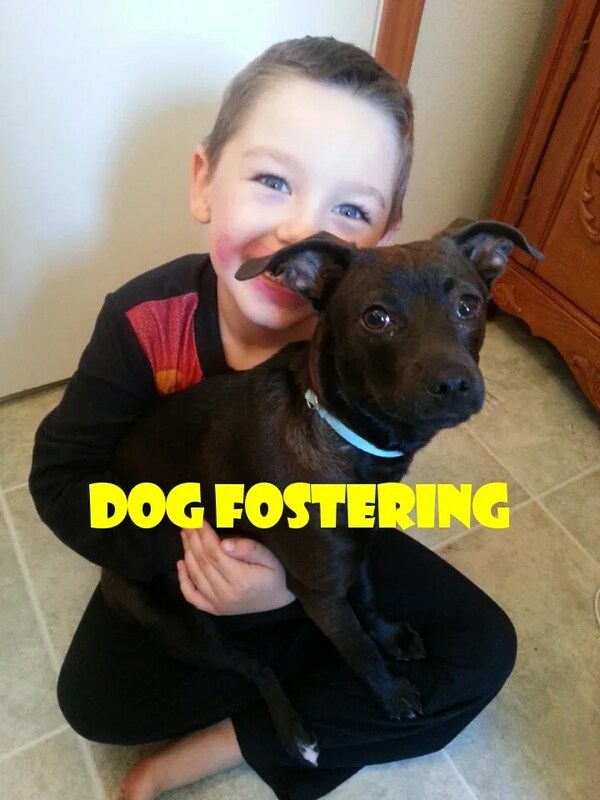 Of course, if you are in the market of looking to expand your family, fostering is a great opportunity to give the animal a “trial run” to see if the animal is the perfect fit for your family before you sign papers. And that would be awesome if you continue to foster after you’ve adopted! Do you have to have a fenced in yard? You would need to talk with the rescue about that, they might be able to work around it. They just want to save as many lives as they can, and in order to do that they need fosters. What does Mason think about the whole thing? That is the number one thing I was worried about when we first started this; what was a 5 year old going to think? The two things I repeat to him is “we are saving these dogs life, they have no place to go” and “we get to see which dog is a perfect fit for our family”. And he has been so understanding right from the beginning, he doesn’t get upset when they get adopted, he understands they go to a good home. It’s a great learning experience for children. What do you as a foster have to pay for? What if I can’t take the dog to outreach events? The rescue pays for all the Dr, health expenses, if the animal needs a special diet, or just simply can’t afford dog food, most rescues will have crates, collars and leashes for you to use for the dog. If you aren’t able to transport the dog to outreach(adoption) events talk to your lead or someone with the rescue they will most likely find someone to pick up the dog. Or if your like me and have to take a child to the event who won’t sit still for that long, they have volunteers who will hang on to the dogs leash while you go run and do something with your kid.